Has anyone here tried Thumbtack.com? I just signed up since it is free. You will receive requests and if you then decide to submit a quote, you will pay with CREDITS. Each credit is about $1.50 and some requests start as low as 2 and can go as high as 5 credits. The system only allows up to 5 people to submit quotes so you are not competing with a high number of people. If the requestor/client does not view your quote within 48 hours, you get your credits back. Overall, this is not a bad place to pick up some extra clients. In my first day, there were ten people looking for photography services and I bid for two of them... anybody else out there on Thumbtack? If so, what are your experiences? I guess I'd be leery of any site where I have to pay to bid on a job. And it's non-refundable unless the client doesn't look at your bid. It sounds like a clever way to make money if you're the site owner. And it seems legit. But how many jobs are in yr area? I bet it's a waste or time and money actually. I'd stick to old-fashioned marketing. Glad you are re-thinking giving up. Avoid it, waste of time, money, effort. Mate joined and he got hundreds of 'leads' but 99.9% were in other states, and 95% were under budget of $500. I should qualify that it was not Thumbtack, but some other site with precisely the same thing, Credits, leads, bids etc. and his payment was $12 (via credits) per bid. I am always skeptical of any of these services but will give it a try. There is a local photography team that does really well on Thumtack and they are more expensive. So far I have submitted five bids but received two refunds because the customer never looked at the quote. I will keep trying and figure that the $40 I have in credits is worth the potential gain. I have spent money on worse ventures. I will keep the post up to date to let everyone know how it went for me. That's fair enough if you have an actual credit available to you, but if you don't get any feedback after spend the free credits I certainly would not pay unless you personally know someone who has actually landed a job from it. Well...wedding one is booked. Not bad for week one. I have gotten better at figuring out the legit leads from the price/ window shoppers but there is still room for improvement. And the wedding booked is not a discount one either so there is money to be made here. Excellent Rudy! Glad you're back in it. Good luck. I have been with them for 3 months and have booked 2 weddings so far. Granted they are cheap ones, $600, but $600 is better than 0 in the bank account. Yes I know about the value of work but it is possible to value your work so much that you price yourself out of your market area so I'd rather cut some prices and get work than keep them almost out of reach and be unemployed and bring in 0 when others are working. Quick update: I feel that someone with a solid portfolio can make some serious money here and I am not there...yet. I also feel that using the site has also increased my stress level so I am stepping back some. Too many email and text notifications, especially the ones that say "Mister Mxyzptlk has viewed your quote" stress me out. I then rush to the computer to write follow up messages saying THANKS for viewing my quote, etc and then wait for replies...While all this is part of the business, it is more stressful because it costs you money. Clients emailing you and wanting info cost time and money but TT quotes and leads cost additional money and time investment. Makes sense? Wow, 180 v. 3,000 is great. Way to go. Obviously it's working for you. Can you just adjust your work habits so you don't spend so much time monitoring Thumbtack activity and replying if not necessary to reply? Can you cut down on the communication and still get same results? Good luck with the move. 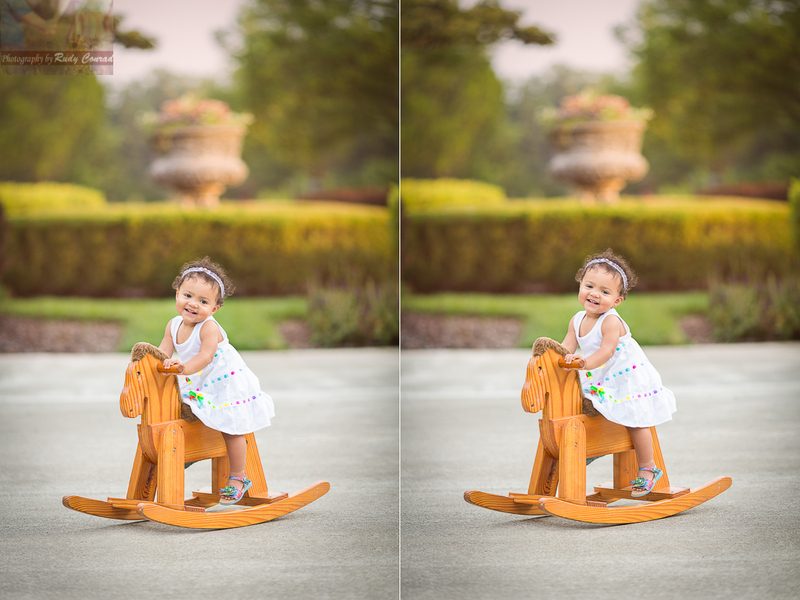 Nice rocking horse photo. .. and coincidentally enough, today I received an email from Thumbtack giving me some extra free credits to invite me to use them since I haven't used my account in a long while. So it's good to hear that it works for some. Your clients know what they want and will seek you out. TT is great for me because I am still in the portfolio building stage but once I reach $2k per wedding, TT will no longer work for me. Not for wedding work then .. but portrait sessions perhaps? I can see that Neil. I am surprised you have not received many boudoir leads via TT. I receive them weekly and sometimes daily. The budgets tend to be decent and up to $500. I don't bid on them since I have no boudoir portfolio to speak off. It has been about two weeks since I booked anything even though I have spent a lot more money. The biggest money/credit losses go to weddings. At around 9 credits (1.50/credit), you can quickly spend several hundred $. While I get a lot of "You are at the top of my list", "Love your work...", kind of replies, I have only booked a magazine shoot (OK, this was nice cause I will be published) and just can't get anyone to bite/commit. Weddings at TT are...very iffy. While the brides are MOSTLY real, they are only price shopping and it costs us (the Thumbtack "pros") a lot of money. I do have my issues with the site and will be writing up a detailed blog in the coming days. When done, I will post the link. At this point, I am still on the fence about anyone, making money on this site based on a time-investment aspect.